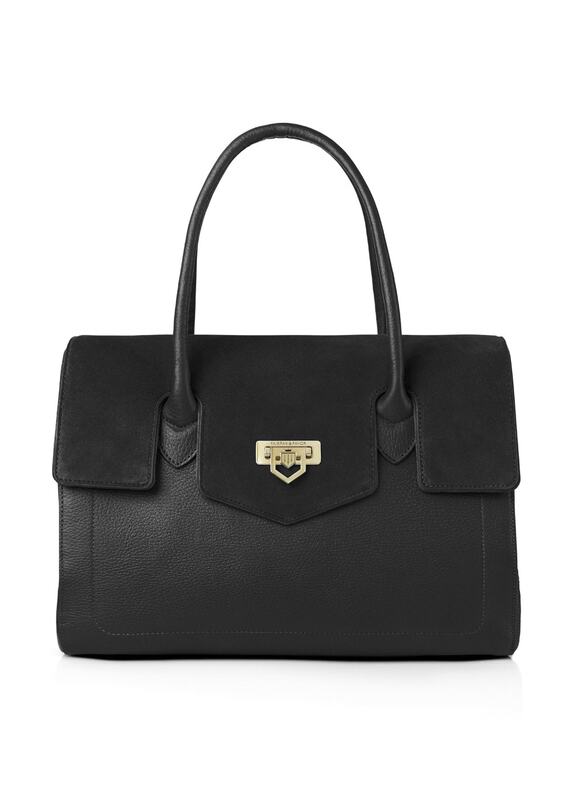 The Loxley Shoulder Bag by Fairfax and Favor is a stunning women's handbag, hand crafted from the softest of suedes and fine grained leathers. The Loxley Shoulder Bag by Fairfax and Favor is a stunning women's handbag, hand crafted from the softest of suedes and fine grained leathers. This elegant bag is designed with multiple internal compartments which are perfect for storing all your day-to-day essentials. Stylish yet practical, the Loxley Shoulder Bag is a must have addition to your wardrobe this season.